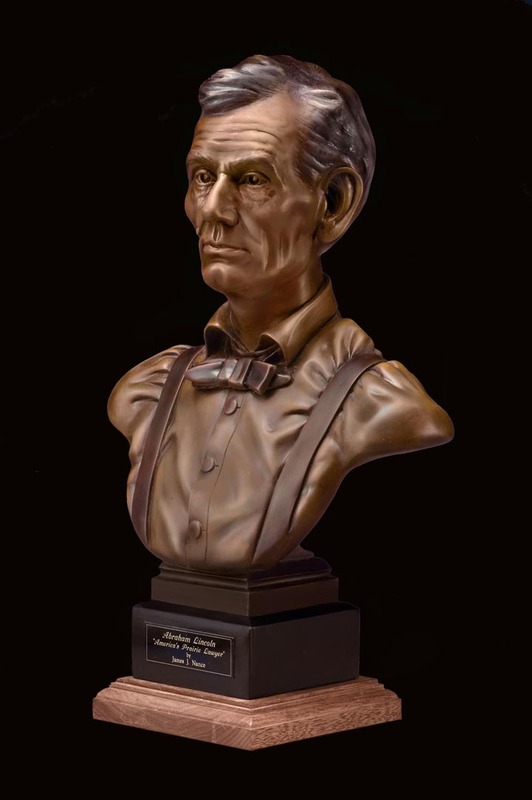 James J. Nance and faithfully modeled after the artist's original life size Abraham Lincoln bronze portraits. these beautiful and finely finished bronze sculptures are hand cast using the "cold cast" method of art casting. Each cabinet sized bronze portrait bust is tastefully mounted on a black onyx marble and walnut wood base. artist James J. Nance. Please allow 20 seconds on slower modems for download. cloth and once or twice a year use a small amount of paste wax.